This is a Liqueur glass. It was designed by Achille Castiglioni and manufactured by Danese Milano. It is dated 1983 and we acquired it in 1986. 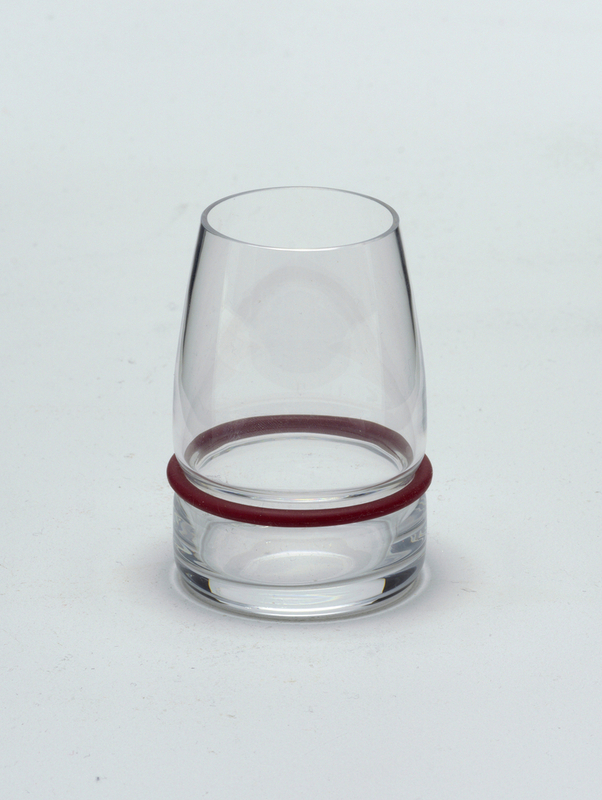 Its medium is crystal glass, silicone. It is a part of the Product Design and Decorative Arts department. Acid-etched factory mark and logo on side near base.